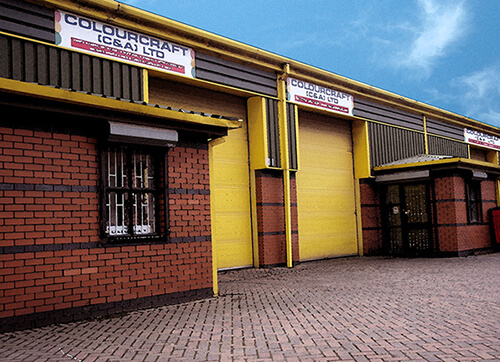 About Us | Colourcraft Ltd. Established in 1978, we are a UK family run business specialising in the manufacture and distribution of a wide range of high quality, environmentally friendly, non toxic, water based, innovative products. We are market leaders in the supply of art materials and products for textile design including fabric dyes, fabric paints and printing systems. Each range is carefully monitored from formulation to production by our Technical Director and staff to ensure excellent, professional results. Because we manufacture in house we can ensure that full technical back up is available. We also source products from other leading manufacturers. We will only work with companies who have a reputation for supplying goods of the finest quality. They are selected with great care bearing in mind that an important part of our vision is to maintain a policy of social, economic and environmental responsibility. We are UK distributors for Markal Paintstiks, Jovi es, Angelina® Fusible Film and Fibres, Stanger Gmbh, Jones Tones and Koh-i-Noor Fine Art Products. We have products suitable for all ages and are a leading manufacturer of educational supplies. All products which require testing for the educational market comply with EN71/BS5665.